So apparently I wasn’t the brightest kid on the block growing up. I guess I was like many juniors, I was floating around, running into walls and didn’t really know what to do with this thing called life. Its heading towards the late 80s and I’m behind on reading and writing at school and I’m sure my parents were wondering what was going to become of me. So they got me a computer one Christmas. Well i say me. It was a family thing, to be shared between my brothers. A ZX Spectrum +2 grey model and a colour TV to go with it. Back in those days it cost a fortune. My parents really took a chance here. I don’t know why the Spectrum was chosen. Perhaps the sales rep in the electronics shop happened to like them and convinced my parents that was the one to get. What they did want to do, was get something which would do more than just games. So many of my friends ended up with games consoles, but those systems never gave those kids a chance to see how things worked under the hood. 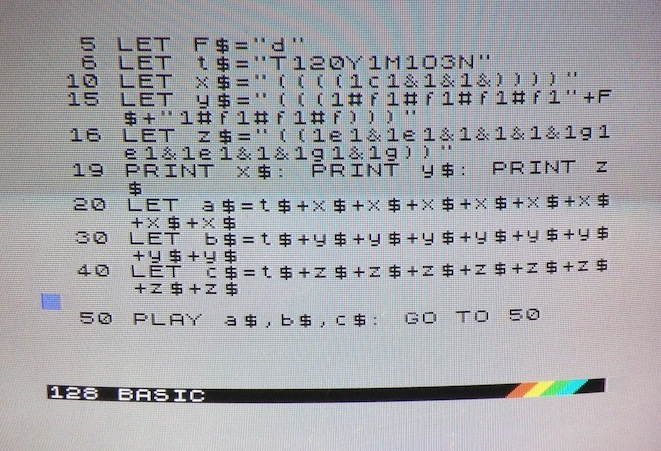 The ZX Spectrum did, and that was the greatest thing ever. For my friends, an achievement was beating Super Mario Brothers or getting to Thursday on paperboy. For me, an achievement was getting a game to actually load! OK just kidding there, although running games off cassette tapes did prove a challenge at times! What really captivated my interest was the fact that I had the opportunity to see the inner-workings of this computer and understand programming with its built in BASIC interpreter and endless examples and programs to type in from the book. I took the ole spectrum like a duck takes to water. Strange how it naturally happened. My brothers never got a look in! Suddenly my reading, writing and maths excelled at school and as the months and years progressed, I squeezed everything I could out of that spectrum. Learning more and more about it every day taking everything in like a sponge. I started writing my own games. Yes they were rubbish and I certainly wasn’t at the level of the Oliver Twins, but I certainly aspired to it. I even had the opportunity to learn about music with the spectrums music chip which could be programmed. 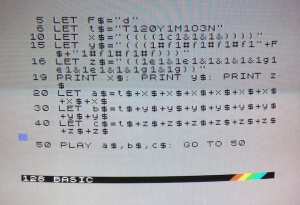 I remember copying some code which got it to play Axel F which was pretty cool at the time! Art became a thing too! I wrote a program that drew a house! So the spectrum became the reason to learn core skills. Before that, I had no reason to be interested. And that’s why I always fought the corner in the playground debates for Team ZX! Today it is great to throw on the Spectrum and re-live some classic games and programs on there. The nostalgia is great. But the machine is more to me than a piece of memory or nostalgia. It was the beginning of what I became. It gave me my purpose of being an IT professional in this world which has seen me through a very good career so far. Of course I look at the other 8 bit mchines of the era, such as the Commodore 64 and can see where it is technically better. Way better graphics and sound. Would I have gelled to a C64 as much as Spectrum if my parents had got me one of those? Possibly, but I guess I’ll never know. For now, long live the speccy!